Date: Feb 16 2019, 5 a.m. - 9 p.m. 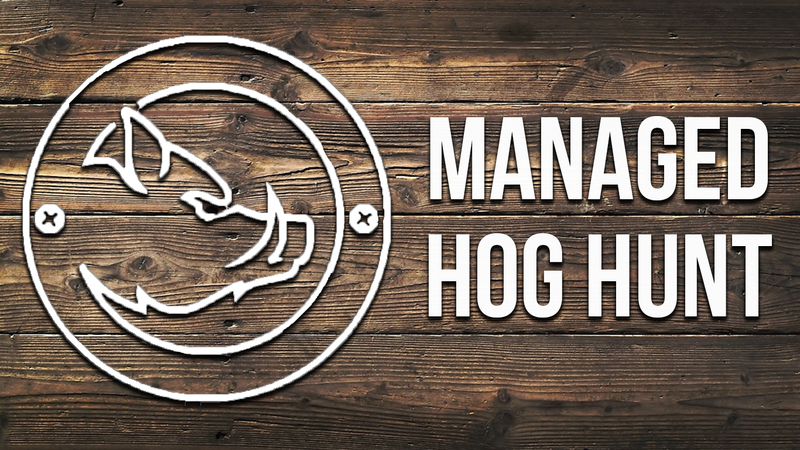 Guided hog hunt open to Active Duty, family members (age 12-17) & retirees. 2 hunting opportunities & lunch provided. Cleaning station provided by DPW Fish & Wildlife. Parent and youth must also have completed Hunter Safety Course. Must be accompanied by parent or legal guardian in tree stand. Parent/legal guardian not authorized to hunt. Hunters will be chosen by lottery draw. Cost is $25 per person (due upon selection). In-person registration now open at the Low Country Adventure Center & Hunter Outdoor Recreation. Selected names will be posted at Low Country Adventure Center on Feb 9th.